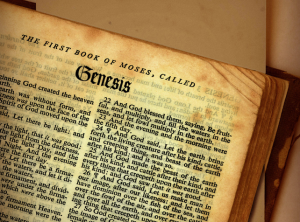 CHARLESTON, W. Virginia – A mathematician with a historical timeline organization has calculated that there is less than a 1 in 479 million chance that Moses, the author of Genesis, made up the Biblical creation account. Margaret Hunter is owner of Bible Charts and Maps: an organization that produces the Amazing Bible Timeline. The timeline is a circular chart that portrays Biblical events—based on the scholarship of Bishop James Ussher—alongside other significant historical happenings. 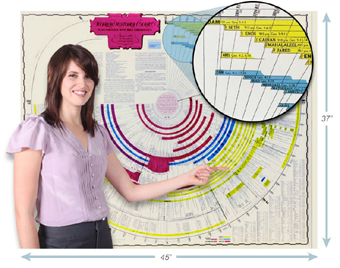 According to Bible Charts and Maps’ website, over 50,000 people have purchased the Amazing Bible Timeline. Recently, Hunter carefully analyzed the creation account in the book of Genesis and determined that, scientifically speaking, it is remarkably accurate. She explained to Christian News Network that scientific developments today confirm the Biblical order of the creation account—from the very first light to the creation of man. “I realized the 12 items listed in the Genesis creation account are confirmed by scientists today as being in the correct order, starting with light being separated from darkness, plants coming before animals and ending with man,” Hunter stated. Statistically speaking, the likelihood of Moses simply guessing the sequence of all the creation events, and happening to guess them all correctly, is infinitesimal. Hunter wanted to mathematically explore this possibility, so she recently calculated exactly how difficult it would have been for Moses to pinpoint the correct sequence by guesswork. In the article, Hunter compares the creation events to a stack of playing cards. And yet, says Hunter, that scenario illustrates how accurate the Bible’s creation account is. “Moses had less than one chance in 479 million of just correctly guessing [the sequence of the creation account],” Hunter deduced. “To me, the simplest explanation is Moses got it straight from the Creator,” she said. Furthermore, Hunter told Christian News Network, the Bible’s accuracy is not limited to its first few chapters. “The names, places and events in the Bible have all been confirmed back to King David by the writings and monuments found in surrounding nations,” she noted.